Rodenticides and other cold weather poisons: The use of rodenticides increases in the fall as rodents attempt to move indoors and seek shelter from the cooler temperatures. Rodenticides are highly toxic to pets, and could be fatal if ingested. If you must use these products, do so with extreme caution and put them in places inaccessible to your pets. If you think your pet has ingested a rodenticide, it is an emergency! Call us right away or visit an emergency clinic in your area. Many people choose fall as the time to change their car’s engine coolant. Ethylene glycol-based coolants are highly toxic, so spills should be cleaned up immediately. Consider switching to propylene glycol-based coolants—though they aren’t completely nontoxic, they are much less toxic than other engine coolants. Halloween: It’s the beginning of the holiday season, which means guests in your home, more decorations that look like fun chew toys, and more delicious treats that may be harmful to your pets. Make sure your pet can’t escape through the main entrance of your home, and if they are wary of new people, make sure your guests are aware of this. Keep all decor and human food (baked goods, candy, and yummy dinners with turkey and ham!) out of paw’s reach. Fun fact: Trupanion sees a 71% increase in chocolate toxicity during Halloween compared to the previous six months of the year. Click here for more Halloween safety tips. Remember everyone Holiday stress isn’t just for people. Be mindful when having friends and family over for dinner to have a “safe” place for dogs or cats that may be scared of new faces or just an overload of people with young hands reaching for and chasing them. A quiet room for cats where they can hide and not be bothered until guests have left. 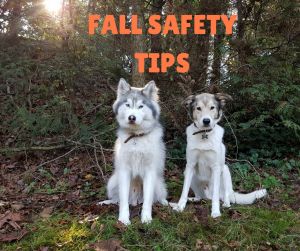 For dogs be sure to exercise them before guests arrive and if they still seem to be anxious after giving them a special bone or toy to chew on then put them into that “safe” space whether that be a quiet room where they wont get into or destroy anything or a kennel where they can feel secure in a quiet area.